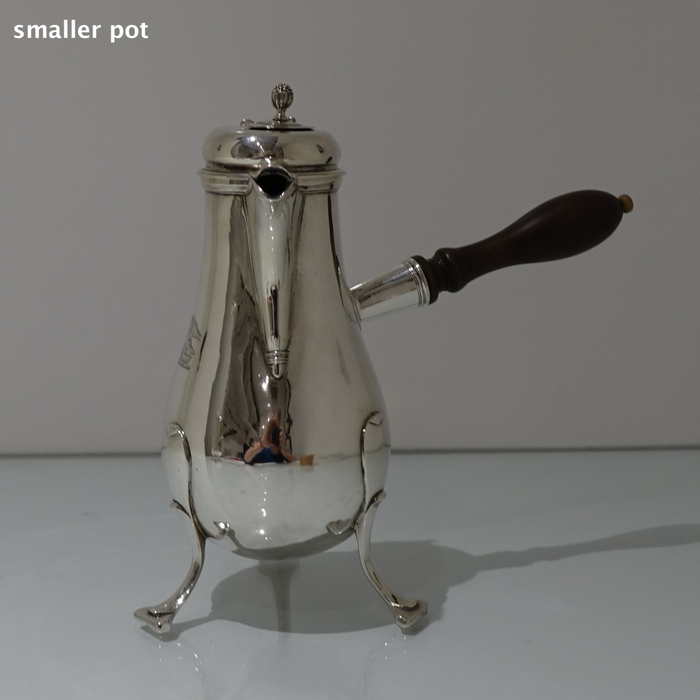 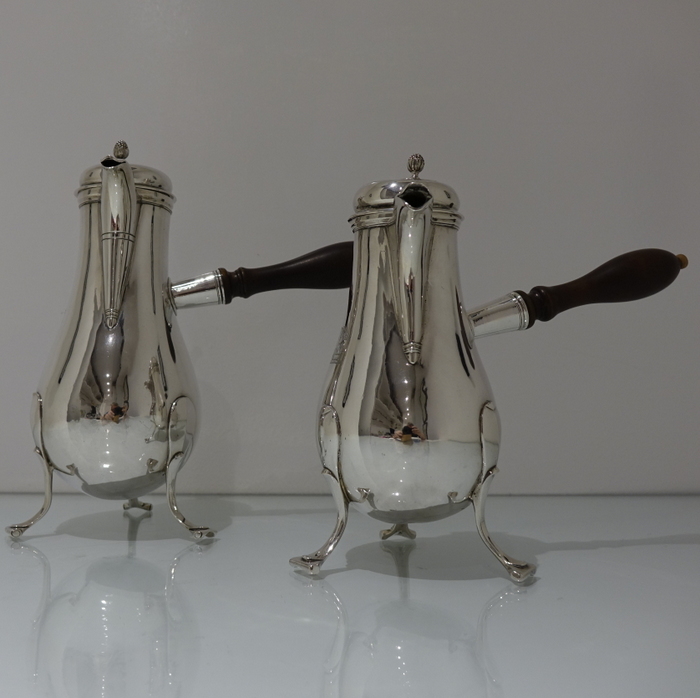 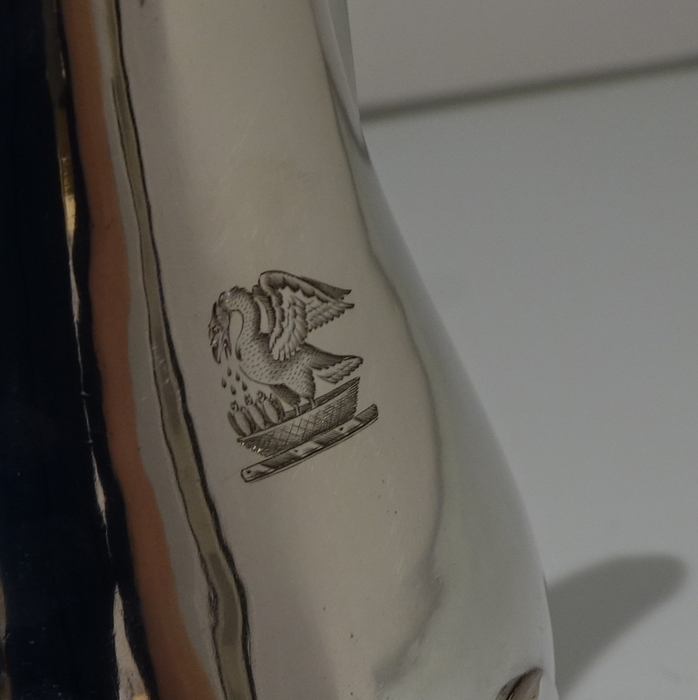 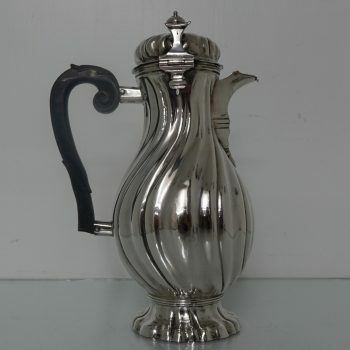 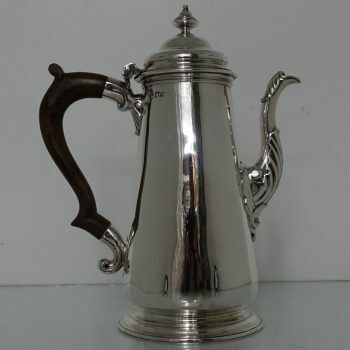 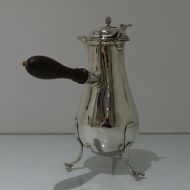 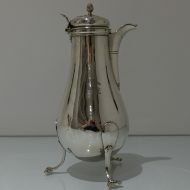 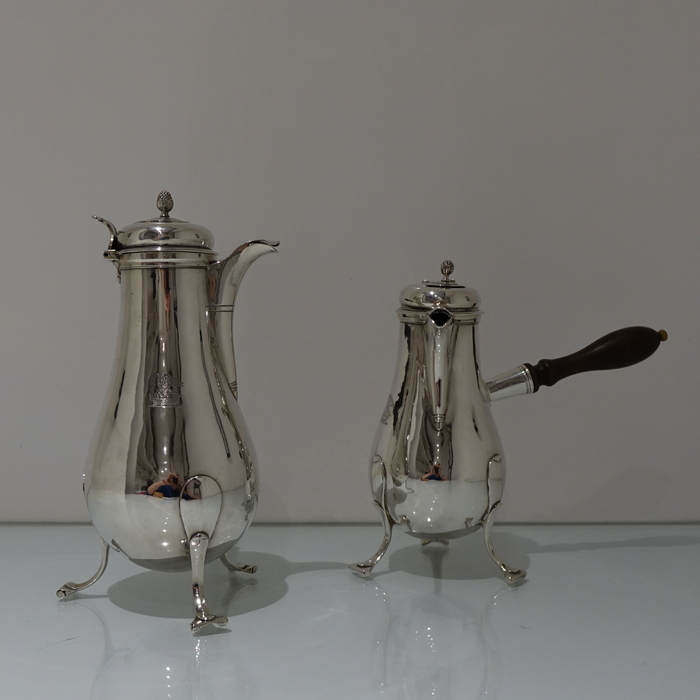 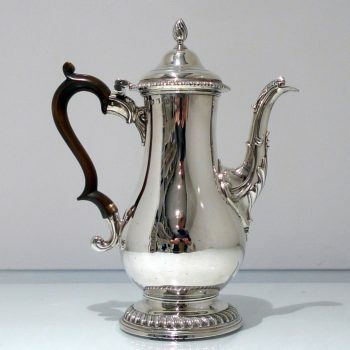 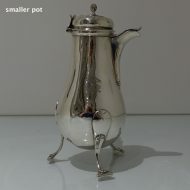 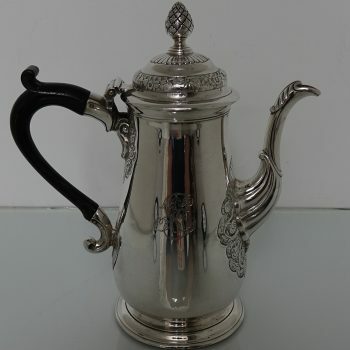 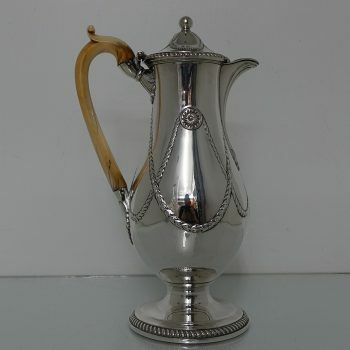 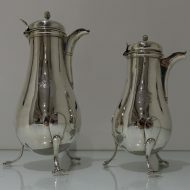 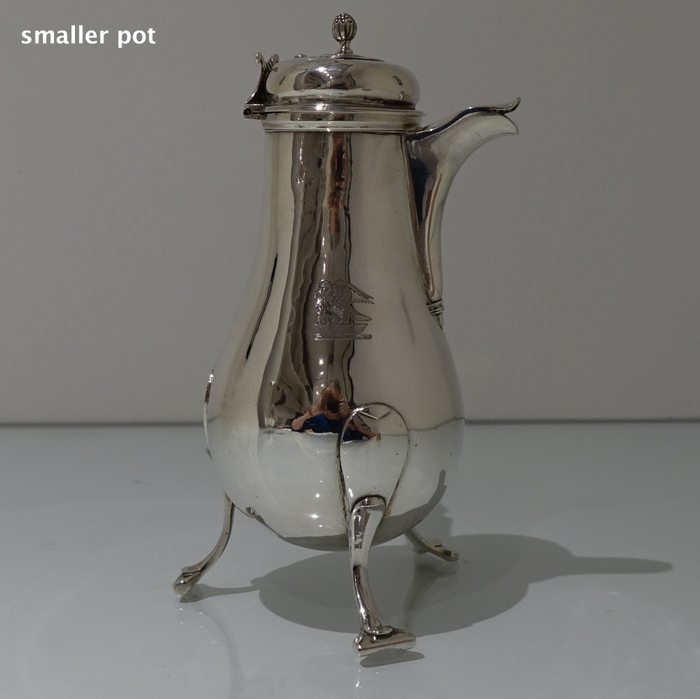 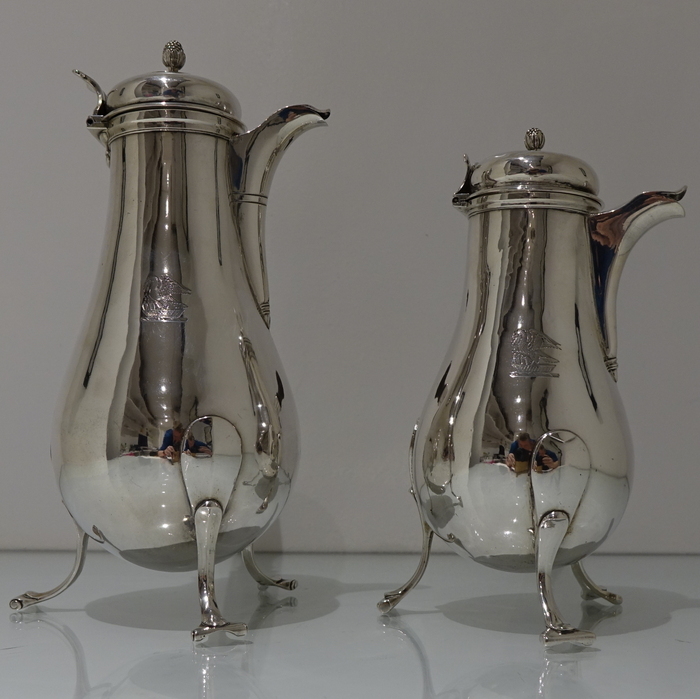 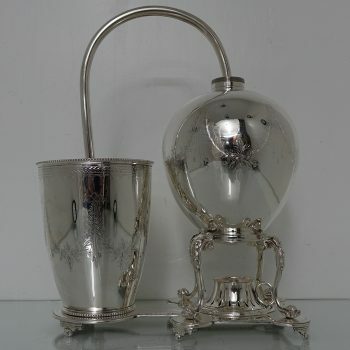 A stunning and extremely collectable pair of graduated Strasbourg side handled coffee pots. They are plain formed in design and stand of three stylish peg feet. 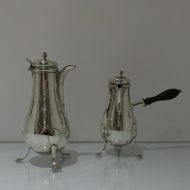 A stunning and extremely collectable pair of graduated Strasbourg side handled coffee pots. 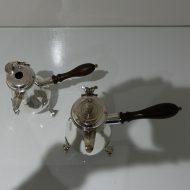 They are plain formed in design and stand of three stylish peg feet. 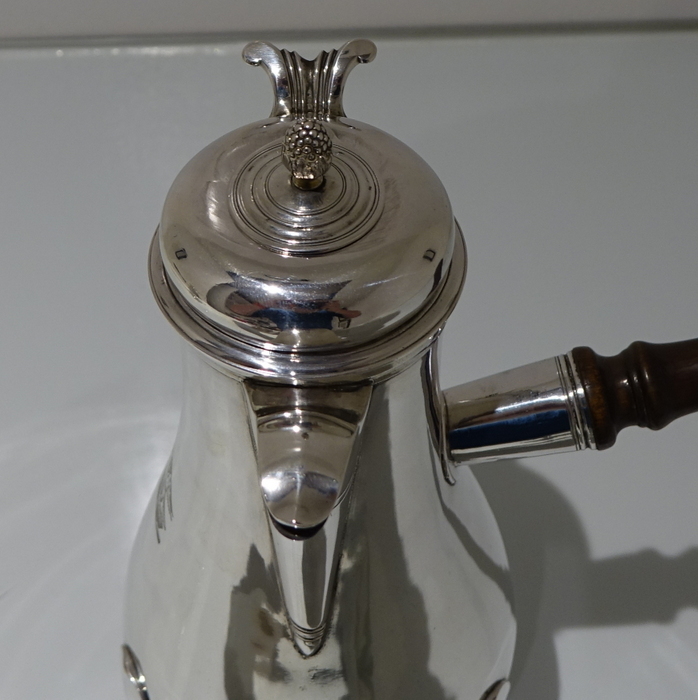 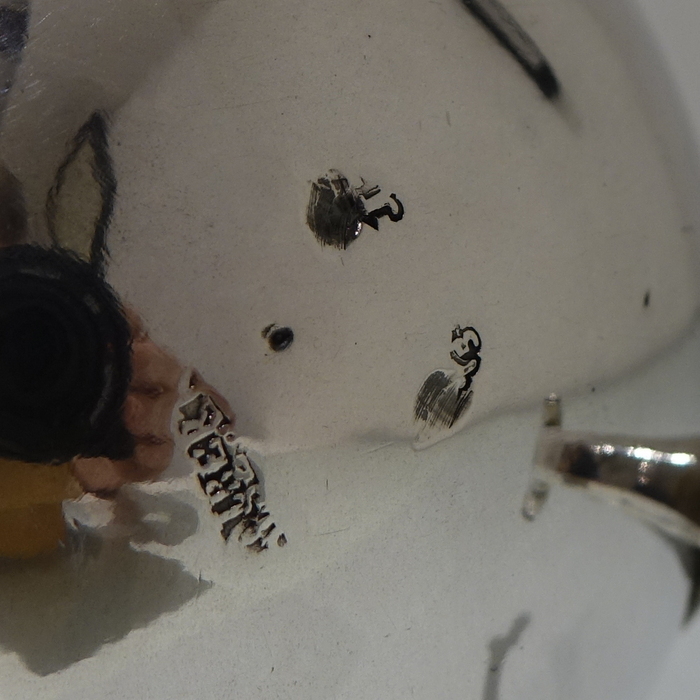 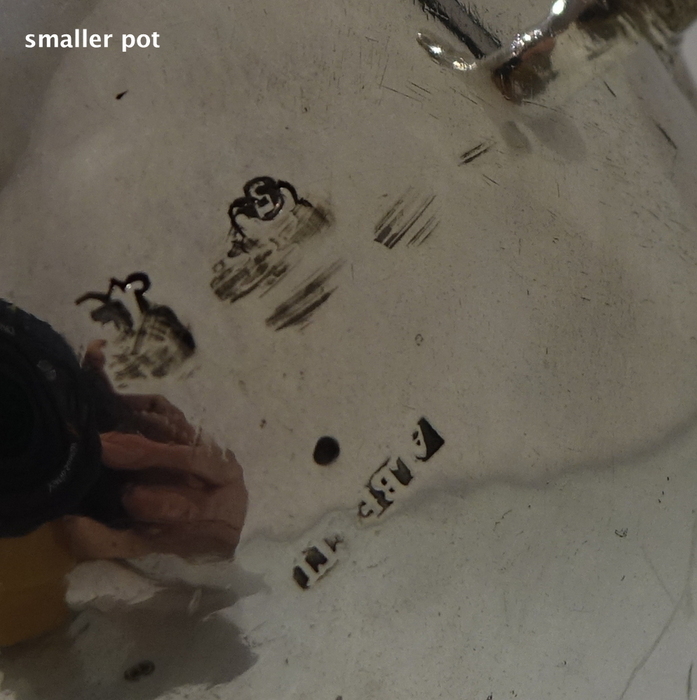 The lids are hinged and are crowned with an elegant acorn finial which is mounted on a circular swivel disc. 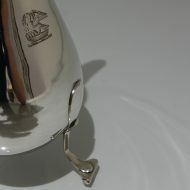 There is a contemporary crest for importances.